The Annual Forum will cover topics of particular importance for the Danube region related to preservation of cultural and historical heritage, new technologies and digitalization in tourism sector, ensuring safety and security in tourism, transport connectivity and mobility. 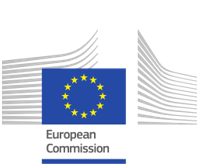 Issues related to synergy and consistency between macro-regional strategies for achieving the common objectives of the EU and for the future of those strategies after 2020 will also be referred to. Two parallel thematic sessions on sustainable tourism mobility and security in public spaces and an open-air exhibition have been scheduled as well. The registration is now open until 17th October 2018. Due to the expected high interest to the event, we recommend to register as soon as possible. After reaching the maximum capacity in terms of participation the registration will be closed. In the framework of its Enlargement & Integration Initiative, the Joint Research Centre (JRC) of the European Commission is offering pre-paid travel and accommodation to researchers/experts from Albania, Bosnia and Herzegovina, Former Yugoslav Republic of Macedonia, Montenegro, Serbia, Kosovo*, Turkey, Armenia, Georgia, Moldova and Ukraine to participate in the Annual Forum. The support covers travel and accommodation expenses. For more, please follow the link. Within the Annual Forum a thematic exhibition showcasing projects focusing on tourism and preservation of cultural and natural heritage in the Danube region will be organised. This open air photo exhibition will be arranged in the period 10-20 October on the "Lover's Bridge", next to the venue of the Annual Forum - the National Palace of Culture. More information about the Forum, including a detailed agenda and list of speakers as well as presentation topics is available on this website.